Disclaimer: this article contains extreme scenes of cuteness and happiness. So if you don’t think you can handle it, look away now. 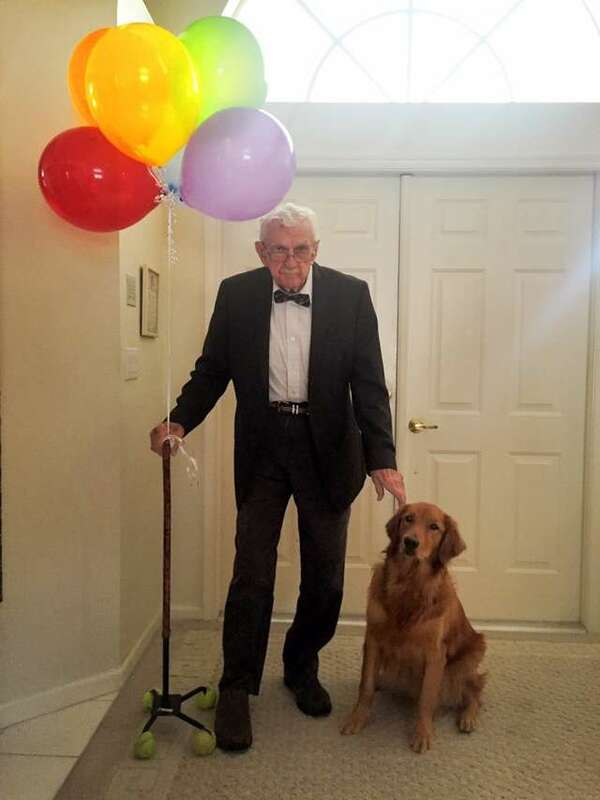 A grandad and his faithful companion, his golden retriever, dressed up as the characters from Up to celebrate Halloween. 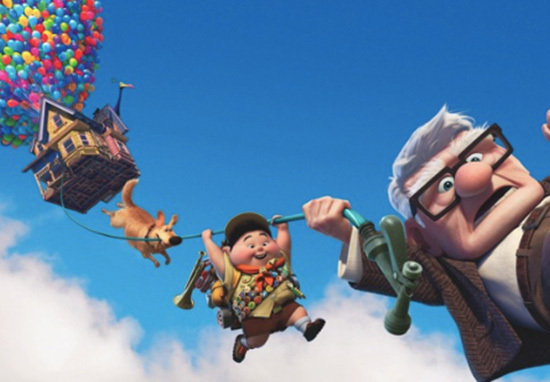 You remember Up, the Pixar film with the devastatingly depressing opening scene which left you questioning all of your life choices? Yep, that one. Luckily, the film doesn’t remain that sad or I’m pretty sure everyone would have turned it off through a stream of tears after 30 minutes. Up goes on to teach you that age is just a number and shows you that it’s never too late to achieve your dreams. 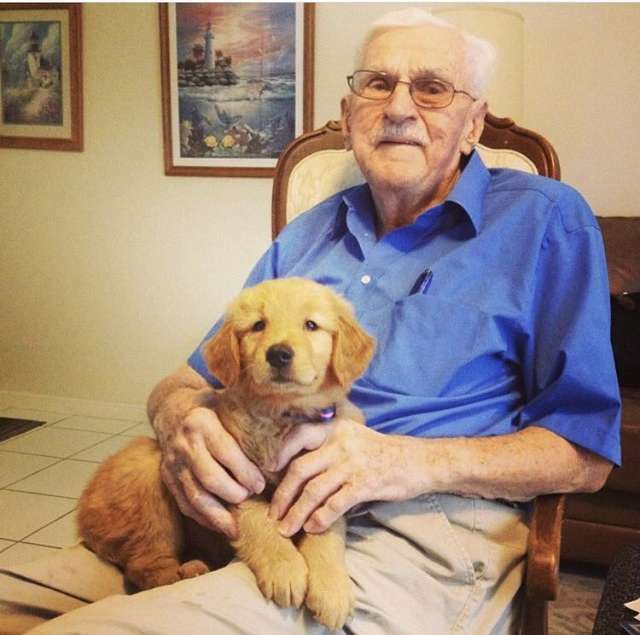 Which is why I think it’s the perfect costume choice for Henry, who is 87 years old, and his loyal companion Peyton. According to The Dodo, Henry and Peyton have been inseparable ever since they met when the golden retriever was a small puppy. My grandpa is obsessed with Peyton! She’s our family dog and they live together in the same house. She sleeps in his room and loves to lay next to him throughout the day. They spend most of the day in the house together. 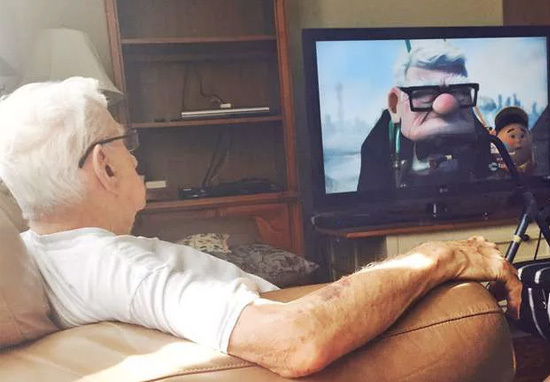 According to The Dodo, Henry recently watched the 2009 Pixar classic under instruction from his family – in particular, his grandchildren. Straight away, he made the connection between himself and Peyton being very similar to the main characters, Carl Fredricksen and Dug the dog. We always said that my grandpa looks like [the character] Mr. Fredricksen. And it wasn’t only Henry who bore a striking resemblance to one of the main characters – Peyton and Dug looked to be canine twins too. So it made Henry’s decision relatively easy on what to dress up as for Halloween, especially if he wanted to include his furry pal in his decision. I don’t know about you but I want to join them on their Halloween adventure – maybe I’ll dress up as Russell? I think the best part of it is that Peyton doesn’t even need to dress up – she’s perfect just as she is! He always talks about her to other people. They definitely make each other happy.